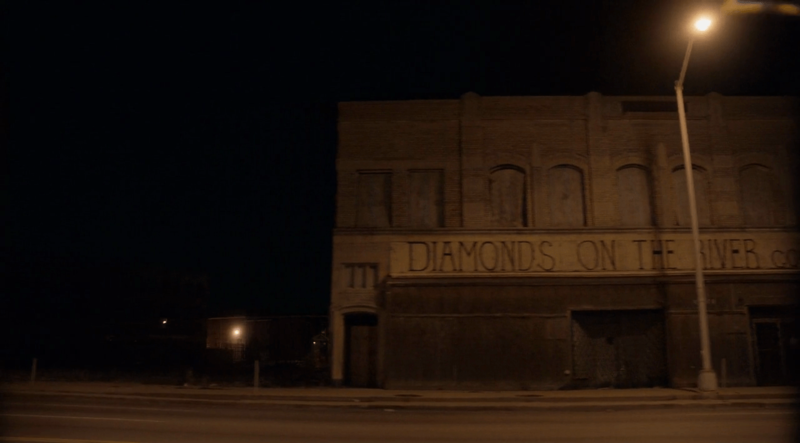 Only Lovers Left Alive (2013) directed by Jim Jarmusch. Warning: Spoilers may follow for Only Lovers Left Alive. Jim Jarmusch’s film, Only Lovers Left Alive (2013) proved a refreshing antidote in the vampire subgenre after a heavily bloated period caused by Vampires tailored to teenagers such as the Twilight Saga (2008-2012) film franchise, The Vampire Diaries (2009-2017) True Blood (2008-2014), etc. Not only is Only Lovers Left Alive cinematically gorgeous, but somewhere in the midst of this movie, Jim Jarmusch somehow captured our collective crisis of what it is to be human in the modern day and how to go about with our planet and with others, by portraying superhuman creatures. 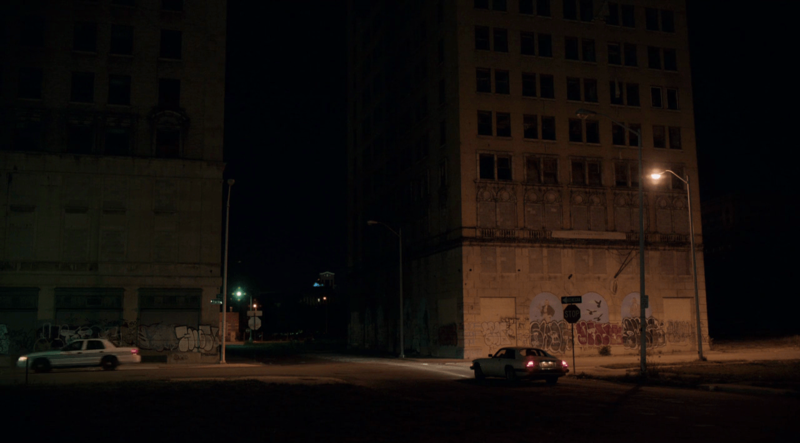 I would argue that by placing this movie (mainly) in Detroit, Jarmusch gives voice to a generation that has ultimately been let down by the grandiose promises of the modern age, and the gradual deteriorating of the American Dream on a more encompassing scale. It can be no accident that our two main protagonists and lovers are called Adam (Thomas Hiddleston) and Eve (Tilda Swinton); an obvious reference to one of the most widely told stories of the origin of humanity. Their ages are never made clear, but it is clear that Eve is much older than Adam. According to interviews, Adam would be roughly about 250 years old, and Eve being his senior by roughly 2500 years. From the get-go, Adam and Eve are visually represented as yin and yang, light and dark. Adam is the dark brooding musician. He lives in the dilapidated Detroit where he fiddles with technology from all sorts of eras. Eve is the light-hearted, ever-wise, ever-dancing embodiment of femininity. She lives in the ancient city of Tangier amongst an enviable stack of books, and has a supreme gift for the natural world (as demonstrated by her talking to mushrooms, take that, Manic Pixie Dream Girls). They’re not only represented as yin and yang by way of their respective shocks of hair, but also by the light and dark skulls they wear either around their wrist or neck. Thomas Hiddleston and Tilda Swinton in Only Lovers Left Alive. Together this duo represents humanity as a whole. It becomes obvious quite quickly, that this is not your average vampire flick. This isn’t just about drinking blood and sleeping in coffins, but rather a beautiful brooding meditation of the human experience in the post-modern world. With setting the film in Detroit, this only adds to the sense of urgency of what’s to be done after an era of mass production and excess. Detroit is famously known for being home to many car factories. Perhaps the most famous of these being the Ford factory. However, it was home to several others, including the Hudson plant, the Fisher Body Plant 21, The Packard Plant, and many more. The automobile was not only revolutionary to human existence, it was also a booming industry which created hundreds and thousands of jobs, and was supposed to ensure a flourishing industry in Detroit for decades to come. Which made, what is widely referred to as the Decline of Detroit, all the more hard hitting for its residents both present and future. 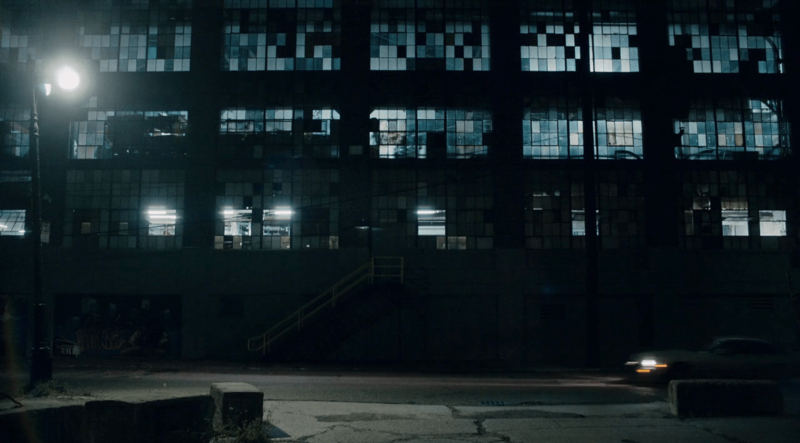 We can see this in the movie when we compare this ideal with Adam and Eve’s night drives through Detroit. The delipidating Detroit is by no means the only clues we have about the deterioration of the human race. This is also hinted at by Adam, Eve and co. having to be extra careful about which blood they drink. While Adam buys his directly from the source, Eve relies on her oldest friend, Christopher Marlowe (John Hurt). If they cease to be careful, chances are that they may get tainted blood which could result in their own demise. A possible hint to the HIV/Aids academic, but perhaps also more metaphorically to a level of cynicism and ignorance unprecedented, and to such an extent that cynicism has seeped into their blood. Mia Wasikowska and Anton Yelchin in Only Lovers Left Alive. Despite this film’s brooding atmosphere, it does end on a hopeful note. One that speaks of human perseverance that has carried us through ice ages, untold wars and several other others, both natural and man made. After they dispose of Ian’s (Anton Yelchin) body and flee to Tangier, our protagonists are left despondent and devoid of hope as they search for blood in vain. Convinced, that they’ve lost this battle, they see a young couple deeply in love and decide to make the kill. Hesitant, Eve asks: “We’re not going to kill them? Just turn them?” To which Adam replies: “How romantic of you.” But perhaps the key of human perseverance lies in this romanticism, this love for each other. Perhaps these are the true lovers left alive in the title that Jarmusch is pointing to. Not necessarily our two protagonists but those who still insist in being loving and kind to one another, ensuring that, despite all evidence to the contrary, “this place will bloom” and continue doing so.